Two albums deep into his career and English singer-songwriter and guitarist James Bay has performed on some of the world’s biggest stages — not only has his own live shows increased in crowd capacity, but he’s also fresh off his supporting slot on The Rolling Stones’ 2018 tour. His experience on big stages has placed him in good stead, and his ability to captivate audiences with his invigorating stage presence was on full-display at Melbourne’s Hamer Hall on Tuesday night. Just as his sophomore album Electric Light opens, Bay’s cinematic intro sets the scene before he hits the stage. He opens up with the album’s first track ‘Wasted On Each Other’ — the guitar-heavy track was a good choice to kick off his set. Not only is the track enwrapped in dominant driving guitars, in classic Bay fashion, it also features an epic sing-along moment that gives you goosebumps right down to your bones. Still rocking his glittery jacket, he moves into ‘Pink Lemonade’, a dancey number that saw the crowd rise to their feet — breaking the usual protocol at Hamer Hall of remaining glued to your seat for the entire show. ‘Pink Lemonade’ wasn’t the only opportunity for fans to break-out a few moves. ‘Wanderlust’, which appeared early on in the set, evoked a few mild grooves. The most electric part of the night goes to his latest single ‘Just For Tonight’ — his performance of the track set the room ablaze, lifting the energy to a level that was hard to contain. Along with the more up-beat moments of the night, Bay also allowed for moments of reflection and appreciation of his musicianship. ‘Scars’ off of his debut album Chaos and the Calm was performed acoustically, placing sole emphasis on his impeccable vocals. Declaring it as one of his favourite songs to perform, ‘Us’ provided a moment of introspection amongst the crowd. He then progressed to ‘Slide’ which saw the room become silent, with the entire room in awe of the fragility of the track and the true power of Bay’s vocals. Bay also performed a chilling acoustic version of his older track ‘Need the Sun to Break’ during the initial part of his encore. Towards the end of his set, Bay unleashed a dynamic cover of ‘Proud Mary’, with the crowd eagerly singing along with the classic hit. Bay added a twist to the track by squeezing in some exciting and exhilarating riffs. Along with featuring ‘Need the Sun to Break’ in his encore, Bay performed a deconstructed version of his mega-hit single ‘Hold Back the River’. After teasing the crowd with a delicate opening to the track, he turned the dial up, with the crowd remaining on their feet singing along to every word. James Bay is a seasoned performer. His ability to take his audience on a journey through feelings of sentimentality, as well as moments of celebration, is why his live shows are not to be missed. 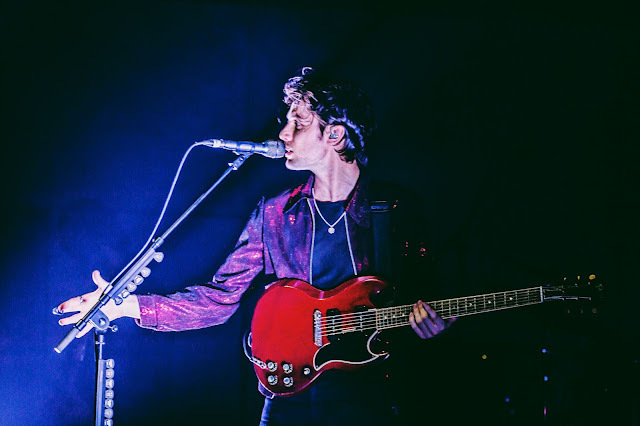 James Bay is set to play the final show of his Splendour in the Grass sideshows tonight at Sydney’s State Theatre. Tickets for the show are now sold out.